We are planning to teach our eldest son, now 5, about the wise use of money using a system called “Spend, Save, Give”. 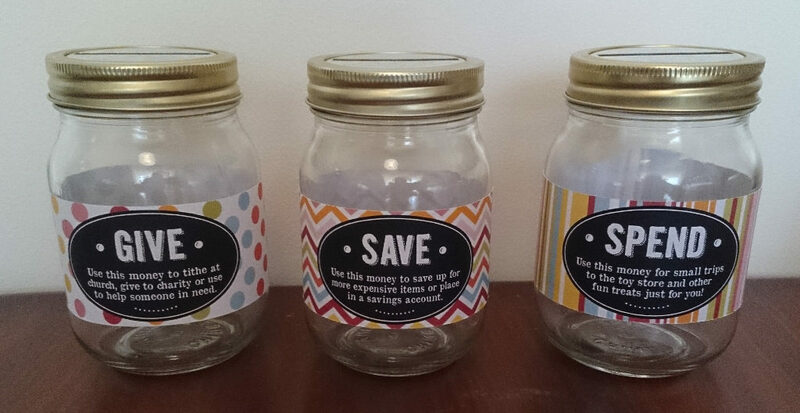 The child has 3 jars, one with each label. Each week, they get given an amount of money in conveniently-sized coins. They have to put at least a tenth of it into the Give jar. The New Testament does not mandate that Christians give away a specific proportion of their income, but 10%, corresponding to the Old Testament tithe, is widely considered “a good starting point”. They can distribute the rest across the 3 jars as they choose. “Spend” money can be taken out and spent at any time. “Save” money has to be used on a named item of significant price. (We plan to add a feature here – they have to name the item, we write it down, and they can buy it two weeks later if they still want it at that point. This prevents impulse purchases.) “Give” money must be given away – to church or a charity of the child’s choice. * Craft knife, cutting mat, tape etc.